In March 2011 Direct Pest Control achieved its’ Wildlife Aware Accreditation certificate. 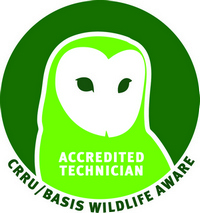 Wildlife Aware is an accreditation scheme for professional pest controllers and other competent users of rodenticides. The Wildlife Aware accreditation is aimed at those who carry out pest control/rodent management for farming and other rural businesses.